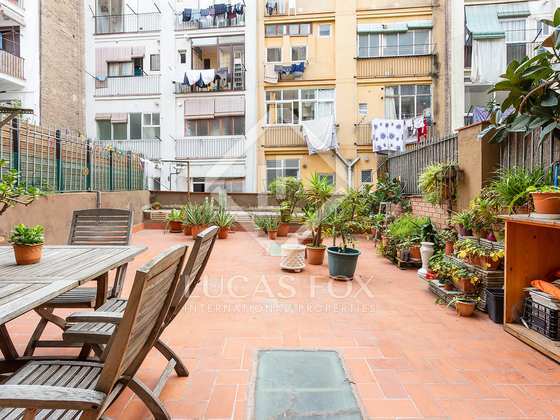 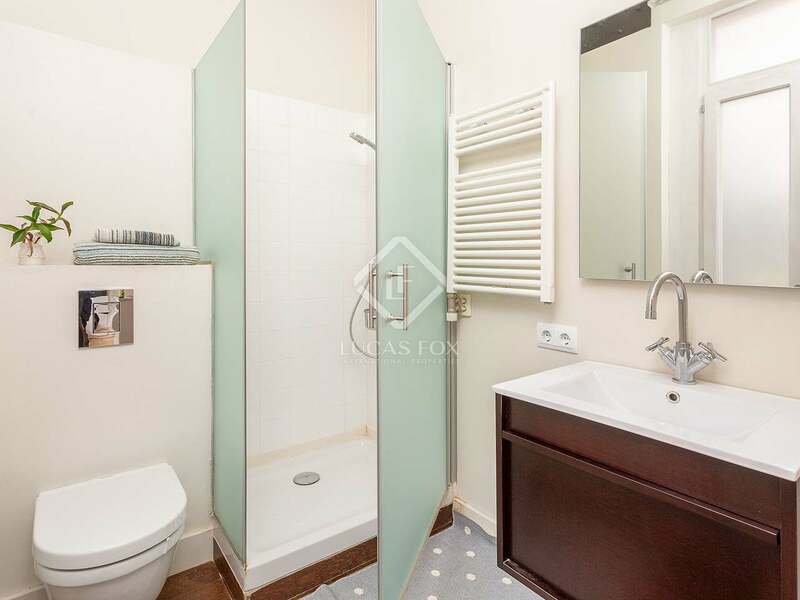 Beautiful renovated 2-bedroom apartment with charming period features, located very close to Paral.lel. 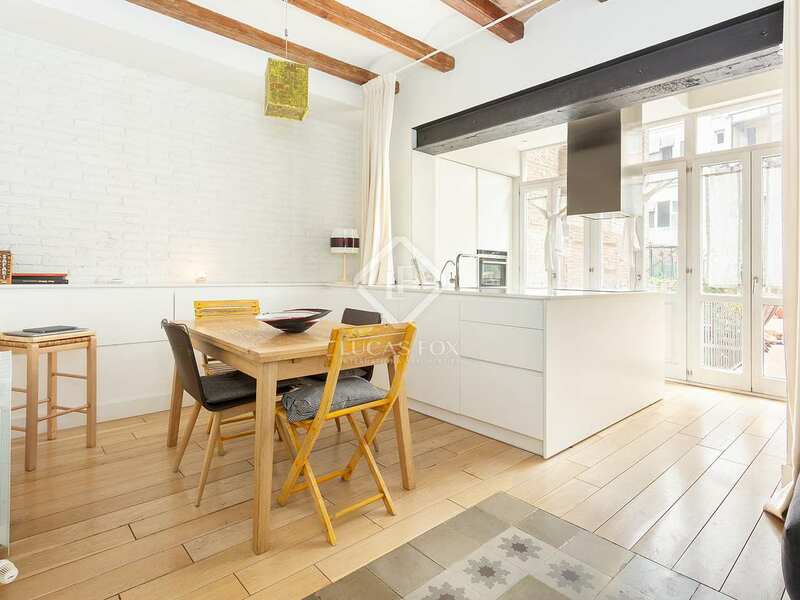 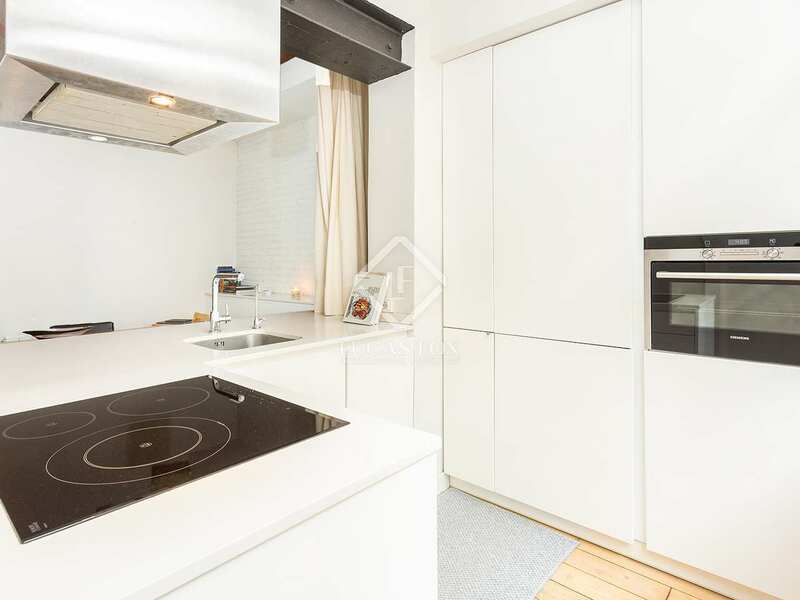 Spectacular apartment in a C listed building dating back to 1826, with a lift. It is located in Poble Sec, very close to Avinguda Paral.lel. The area is unbeatable, being close to public transport services, gyms, supermarkets, schools, etc. 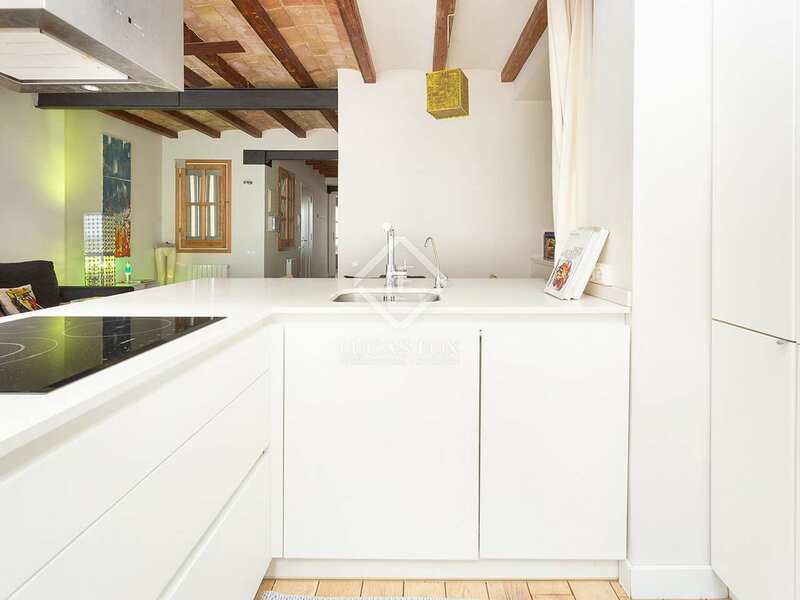 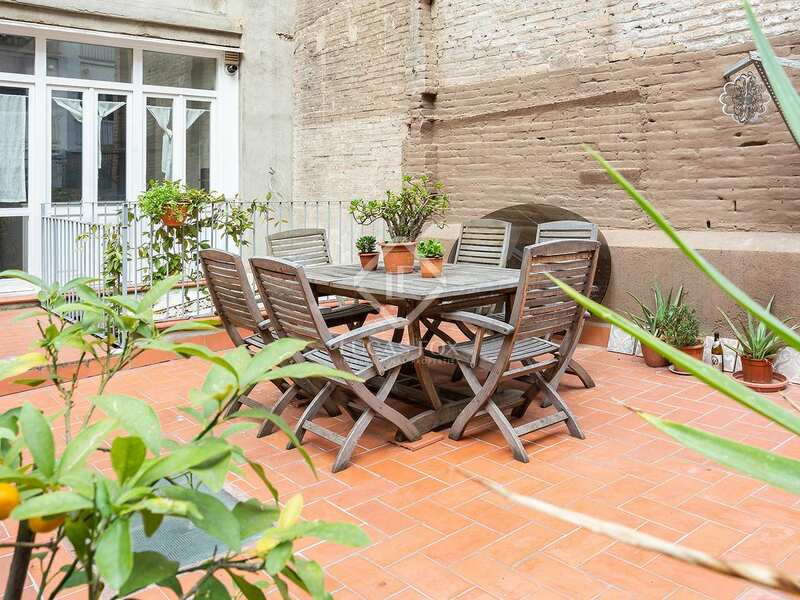 The property measures 89 m² with 55 m² of wonderful terrace for private use, facing southeast. 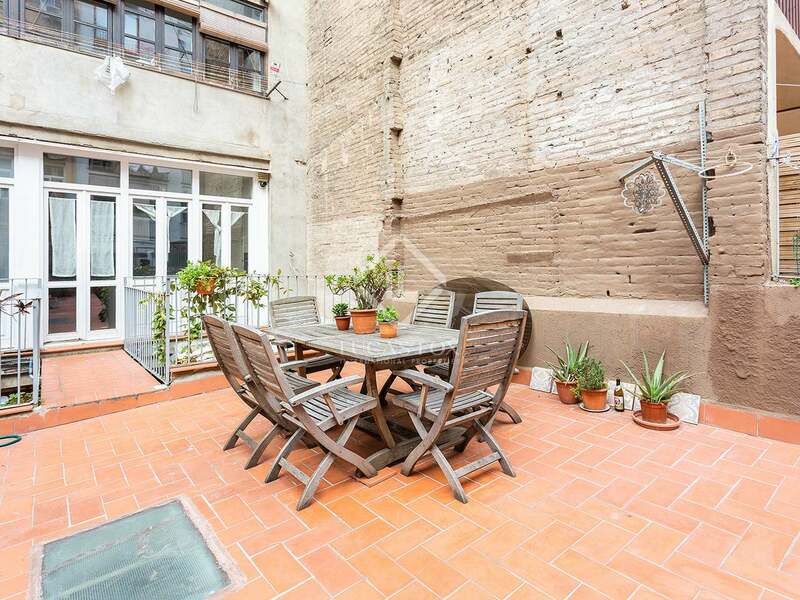 In the day area, we find a large space: the kitchen opens onto the living room, which has access to the large terrace. 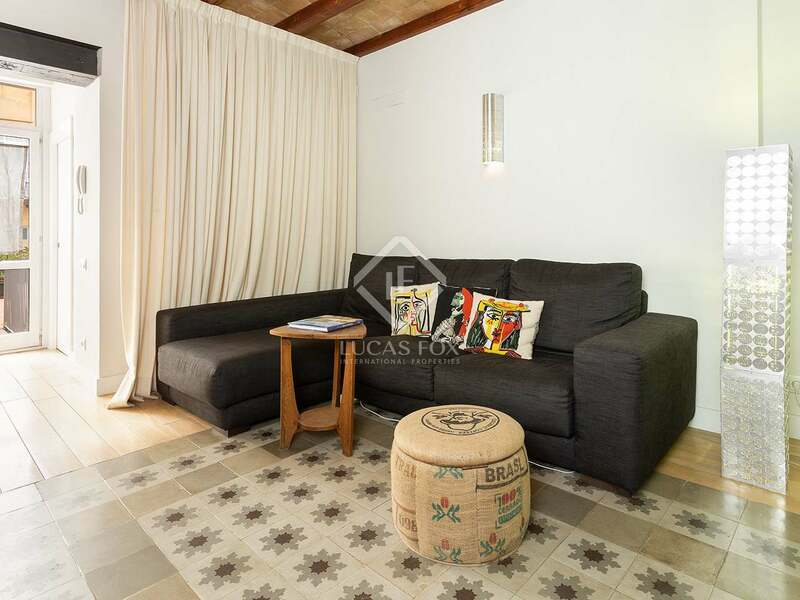 The sleeping area consists of a double bedroom with access to an extended balcony, a second bedroom that is intended for use as an office, a small storage space and 2 bathrooms. 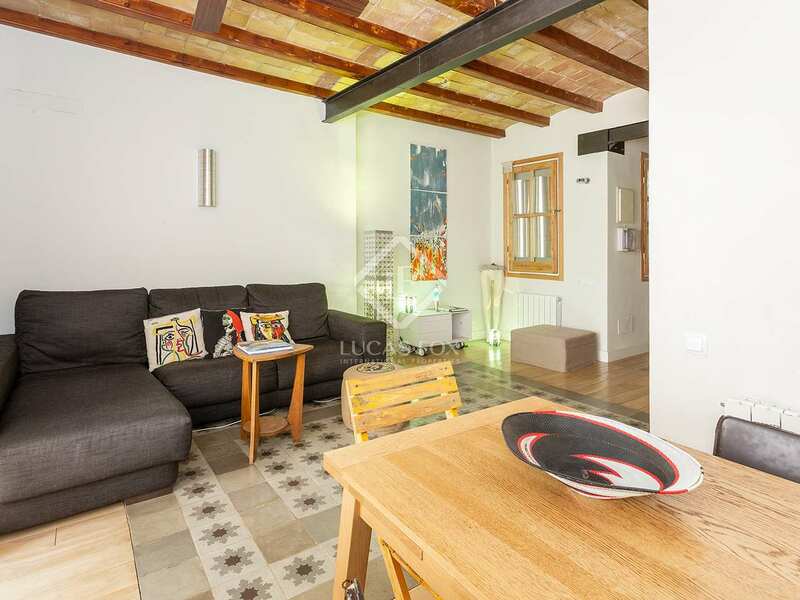 The apartment was renovated a few years ago and is presented in excellent condition. 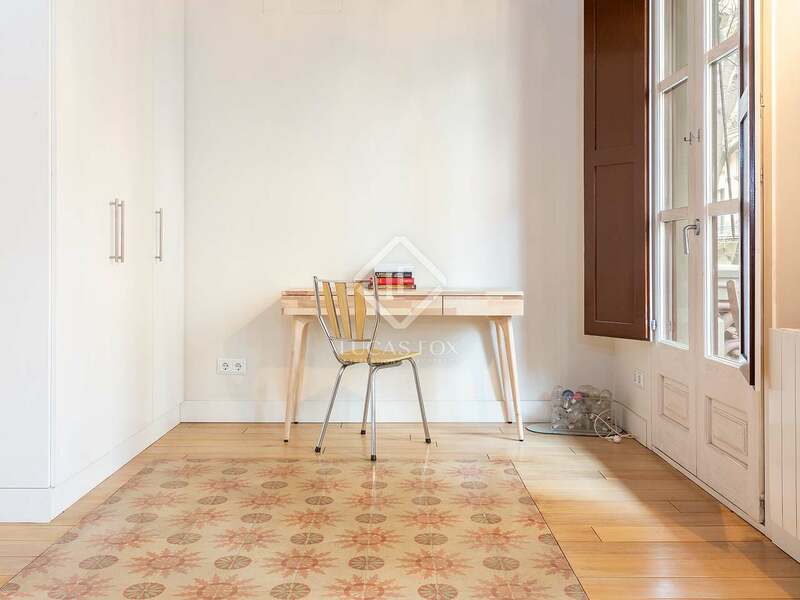 With the renovation, some of its original elements were recovered, such as the mosaic floors and high ceilings with Catalan vaulting. 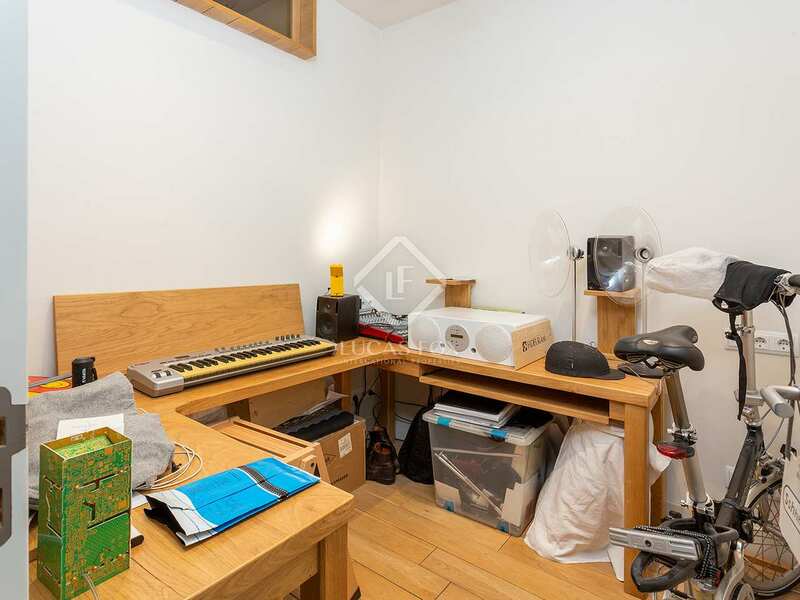 In addition, some dividing walls were removed and the side walls were soundproofed. 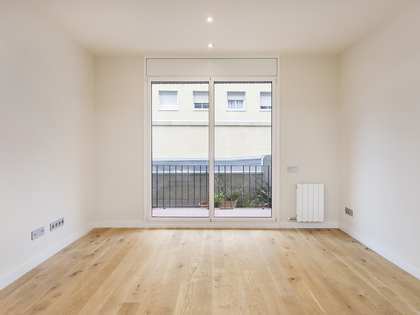 Although it does not have air conditioning installed, it has the necessary ducts, which would facilitate installation. 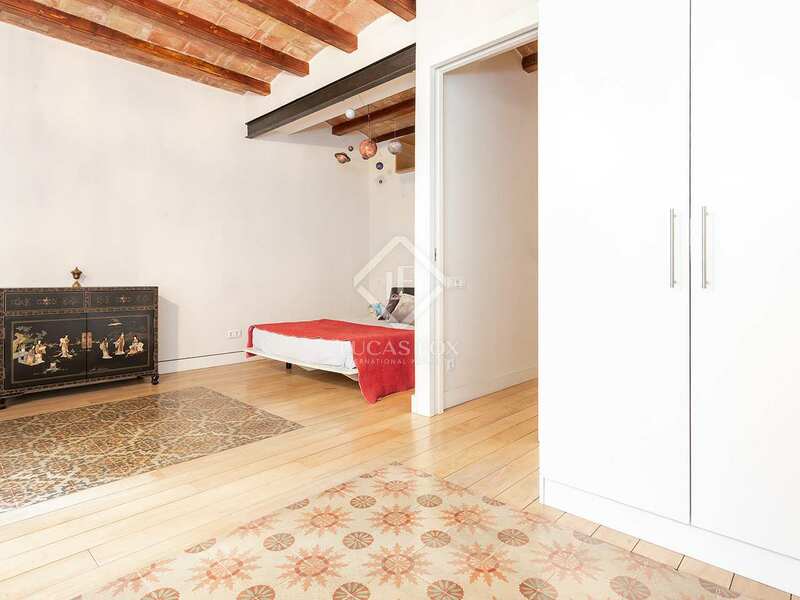 It is also possible to obtain a parking space just a couple of streets away. 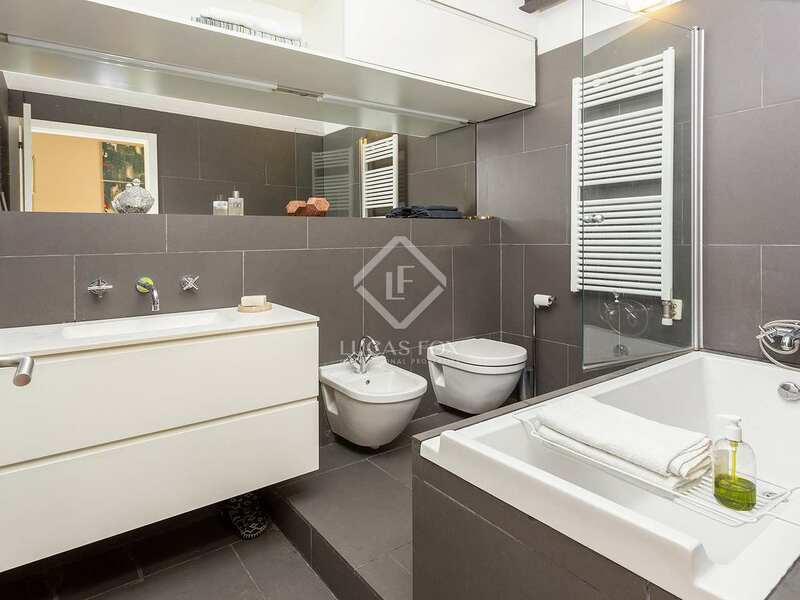 Contact us for more information about this beautiful apartment. 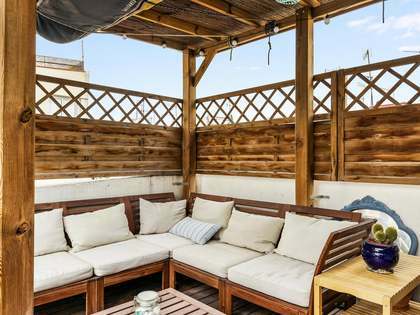 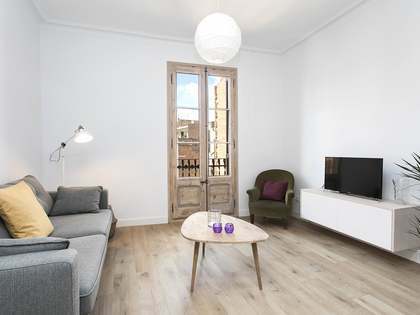 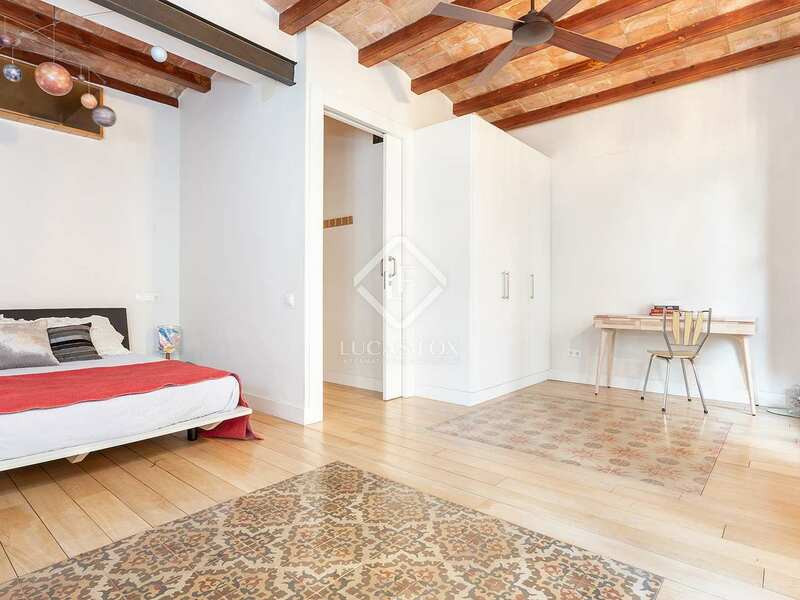 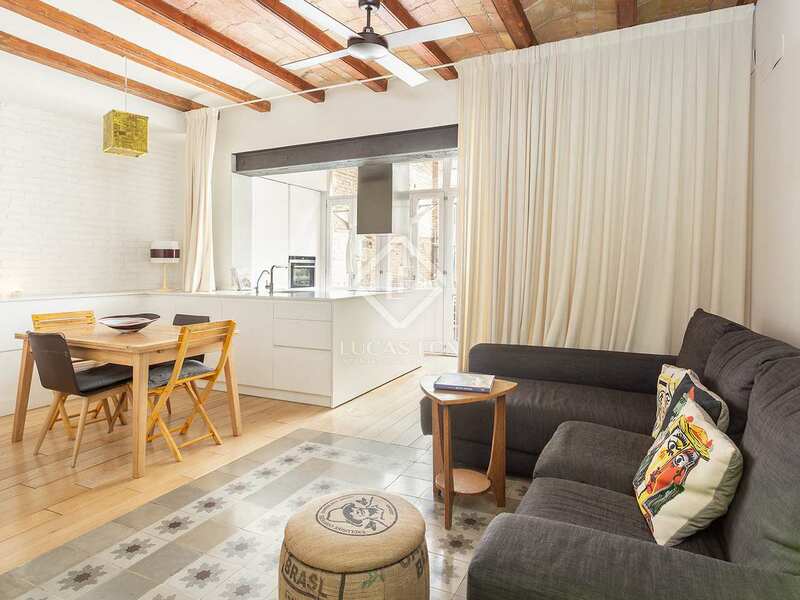 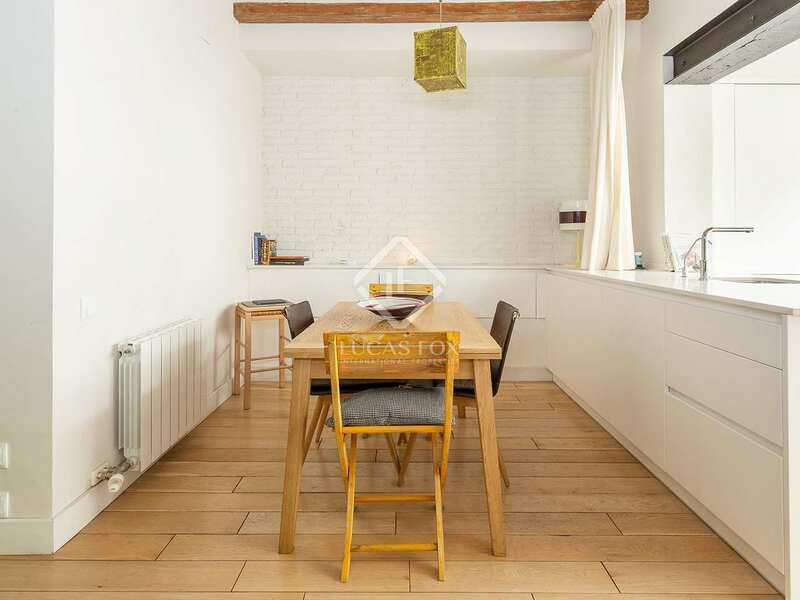 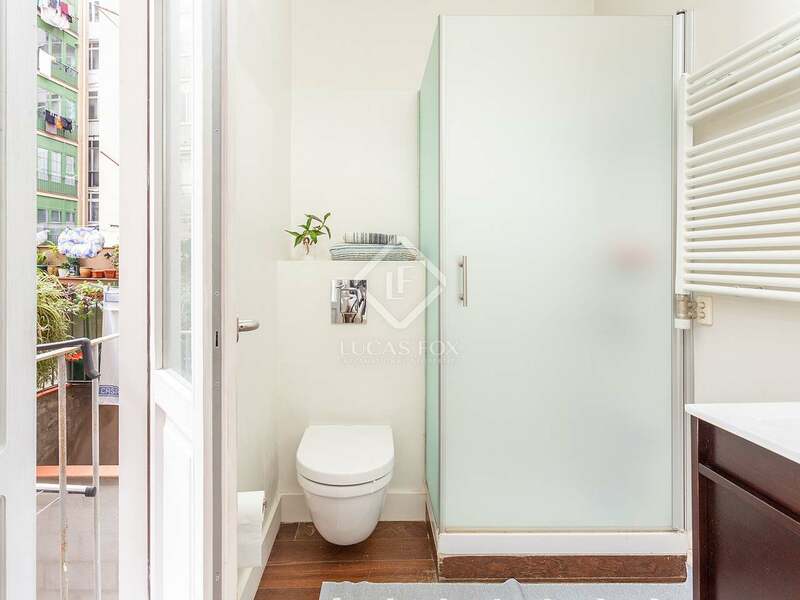 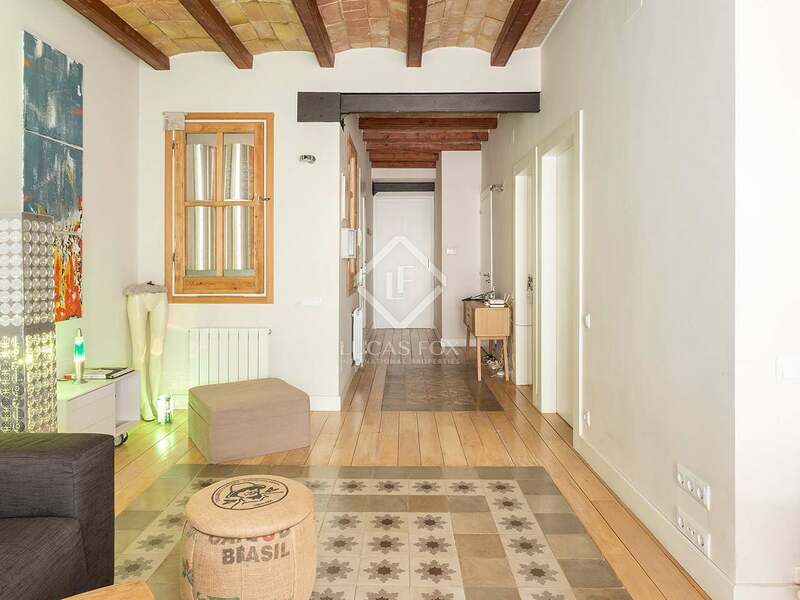 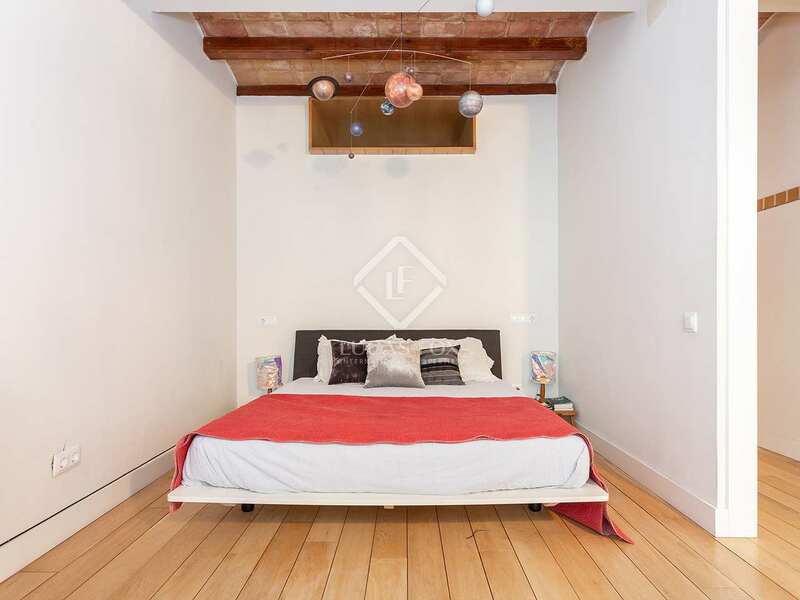 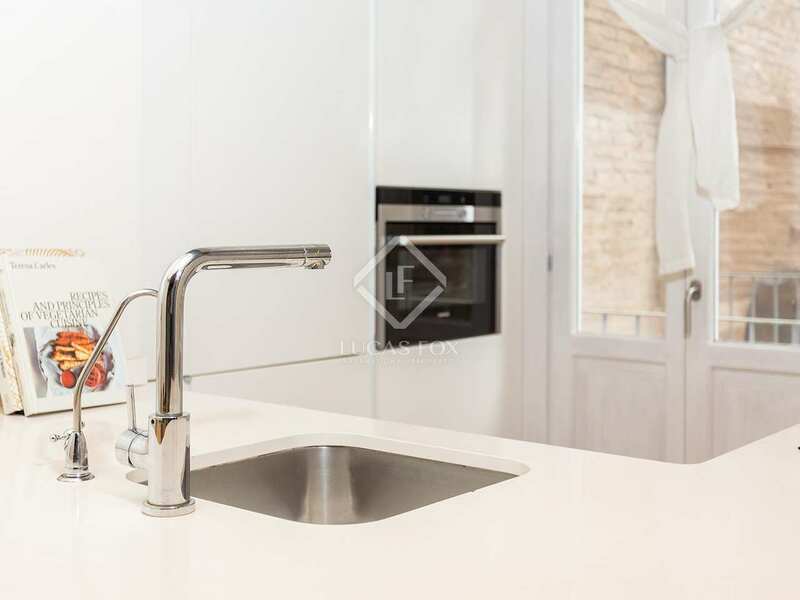 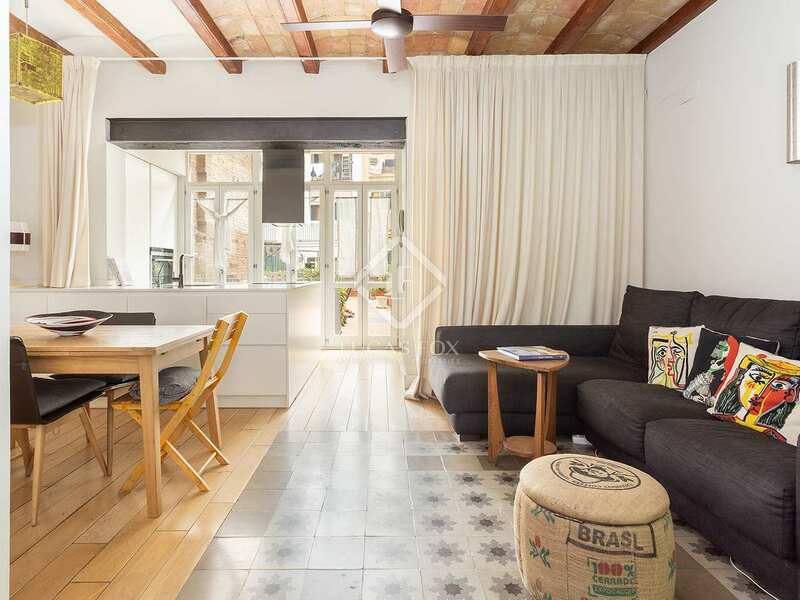 This apartment is very close to Avinguda Paral.lel and a short walk from Poble Sec metro station. 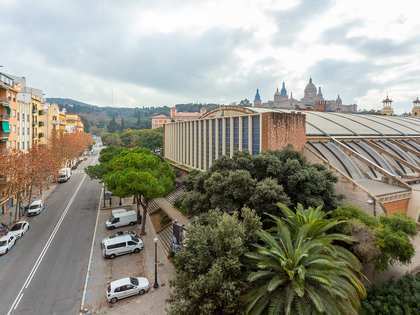 It is a new fashionable area of the city and is very well served by public transport.